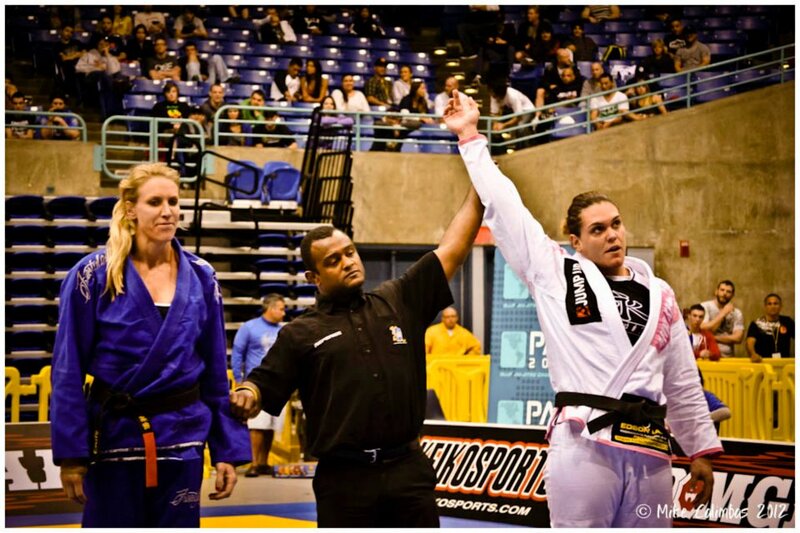 Gabi Garcia took home two medals in the last day of the Pan-Am BJJ in Irvine, CA Sunday. The Alliance BJJ fighter out of Brazil took home her fifth absolute title, and her fifth middle-heavyweight title. Garcia also won the 2011 ADCC over 60 Kg championships. Other champions included ADCC Over 60 kg runner-up Hannette Staack (middleweight); Beatriz Mesquita (lightweight); and Luana Alzuguir (featherweight).